You can read the rest of this story in my new book “A Year’s Worth of Amsterdam Birthdays.” To order your copy, click here. 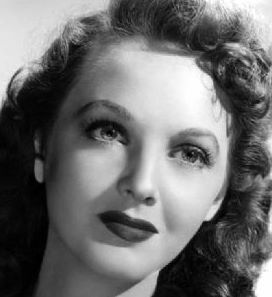 Lucille Bremer was actually born in 1917. Her birth year was changed at the insistence of MGM studios to make her appear younger to audiences. Due to this change, many articles and stories written about Lucille Bremer give reference to the wrong birth year. Today is her 100th Birthday by the way. Happy 100th Birthday to Lucille Bremer!! (Vernon Facundo – creator of The Lucille Bremer Fan Page on Facebook).